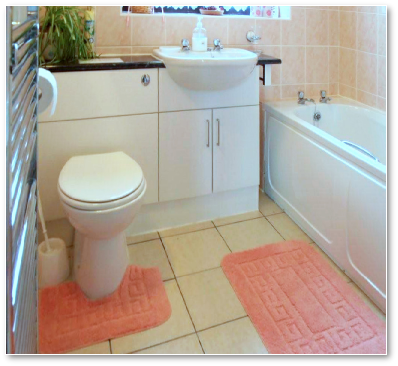 A fully tiled bathroom, with bath, washbasin, toilet, and electric shaver socket. Hot water is provided and inclusive in the hire cost. Towels can be hired for a small additional charge.